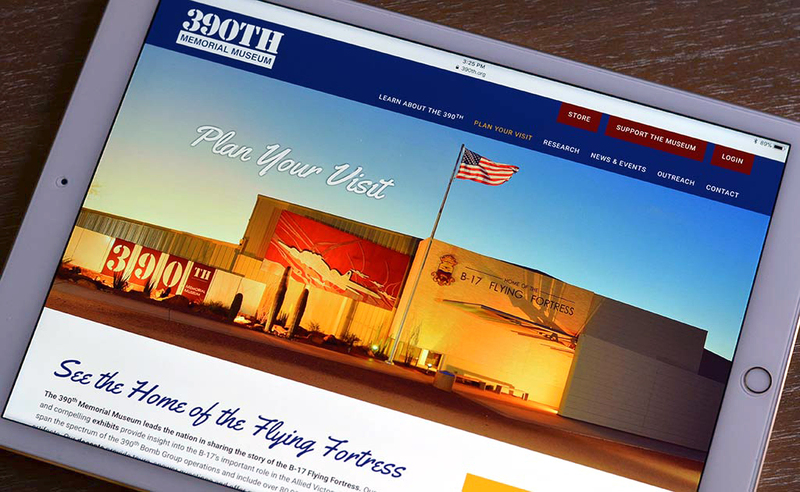 The 390th Memorial Museum in Tucson, Arizona leads the nation in sharing the story of the B-17 Flying Fortress. 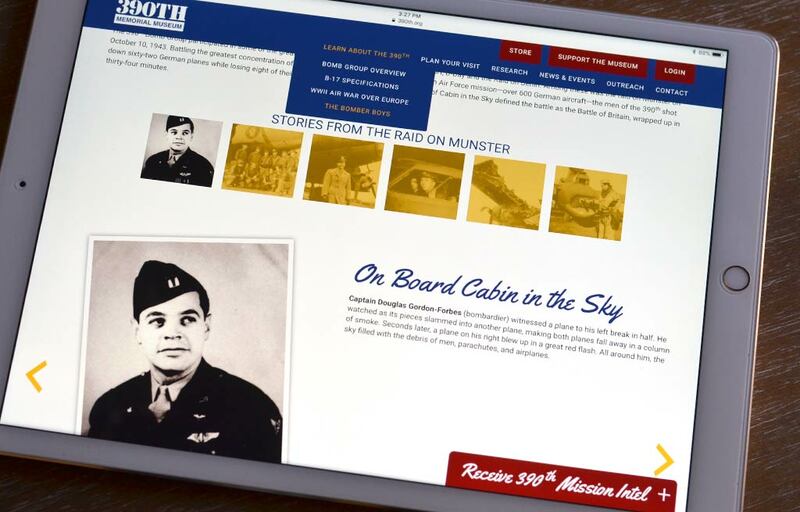 Their comprehensive and compelling exhibits provide insight into the B-17’s important role in the Allied Victory in Europe. 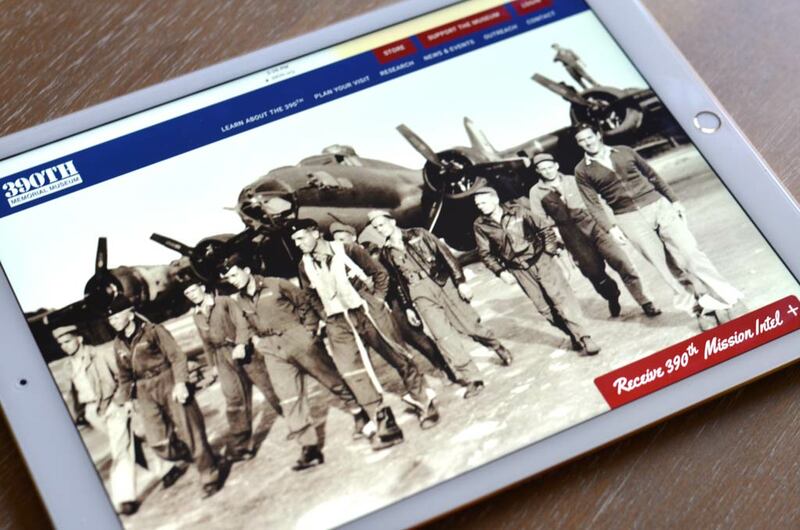 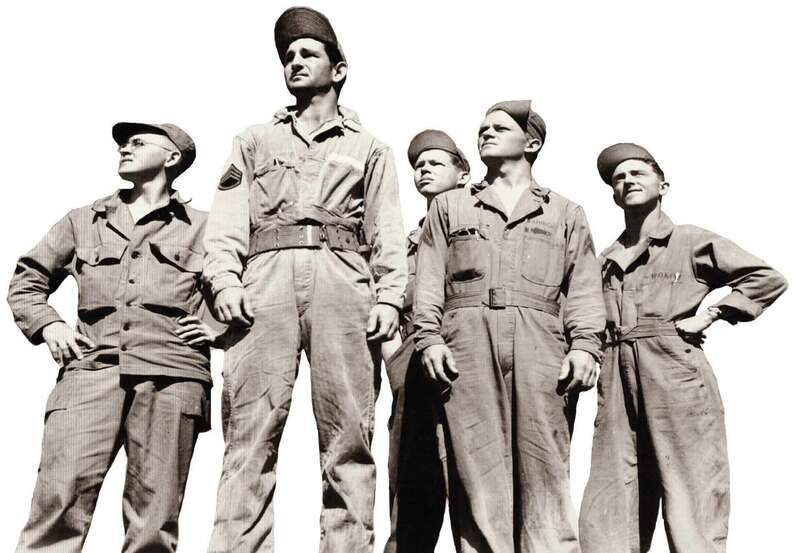 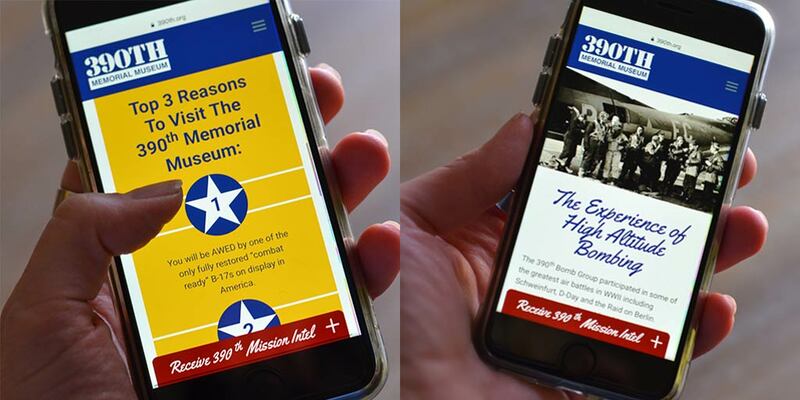 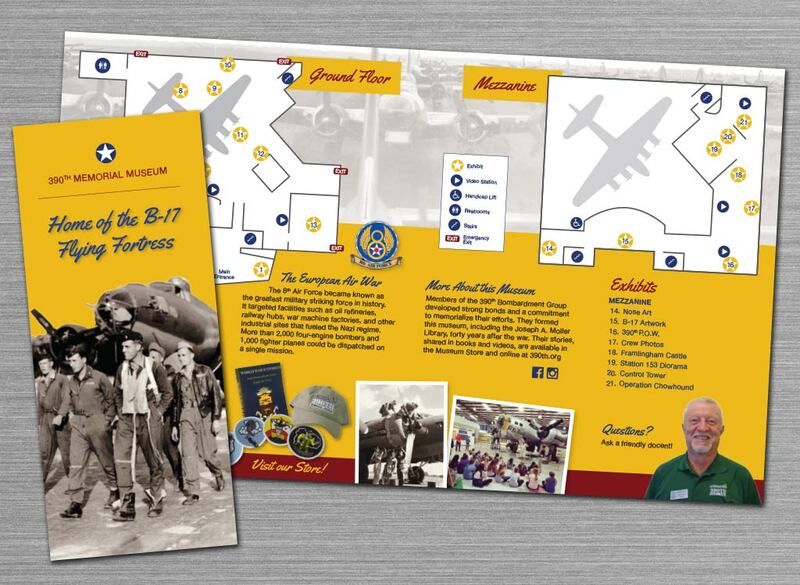 We partnered with the Museum to develop their brand, print marketing pieces – including museum map brochure and rack cards – and help tell the story of the WWII Bomber Boys and their museum through an informative website. 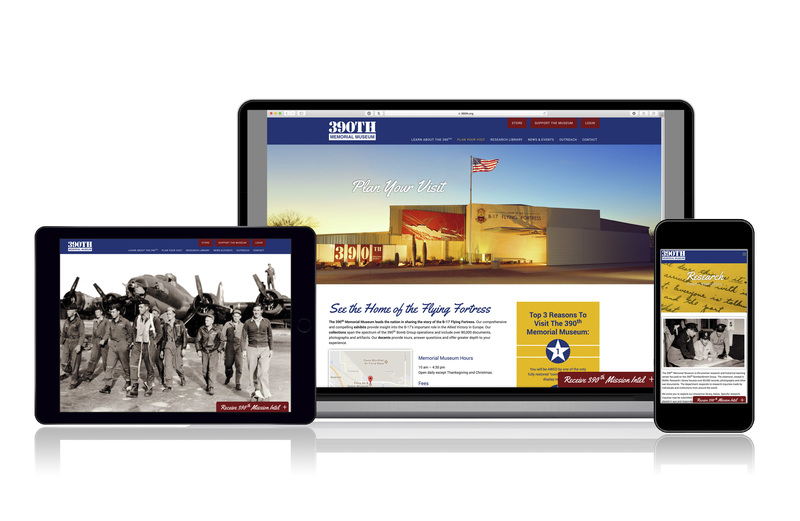 Their responsive website includes a WordPress content managements system so they are able to make edits as well as add new content.